The eighth annual Baja Seafood Expo will take place in Ensenada, Baja California from September 25th through September 27th, 2015. 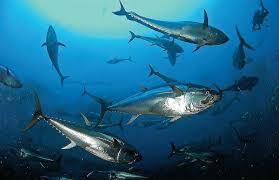 The Expo is Northwestern Mexico’s largest and most significant seafood industry trade show connecting local producers to the national and international market and focusing on issues such as health, safety, sustainability and financing of the industry. 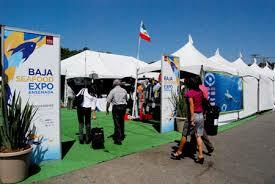 While much of the Baja Seafood Expo is focused on the industry significant parts are open to and welcoming of the public. Amonst these are the Festival of Baja Seafood Trucks on Sunday, September 27th and the tours to farms and seafood areas the following day (available by reservation). 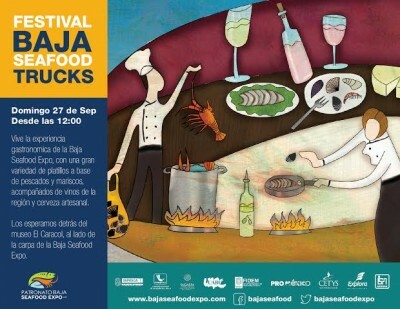 The Festival of Baja Seafood Trucks starts at noon at the Museo El Caracol in downtown Ensenada. The Baja Seafood Expo itself is free but you pay for your tastes — incredibly reasonably priced — at the trucks. A number of top Ensenada area seafood-centric restaurants are participating in the Expo. Notably amongst these are Restaurante Manzanilla and Deckman’s en el Mogor.